We're delighted you've decided to come and watch Queen of the South. To help make your match day experience as enjoyable and easy as possible we've put together this "First Time Fan" guide for you. 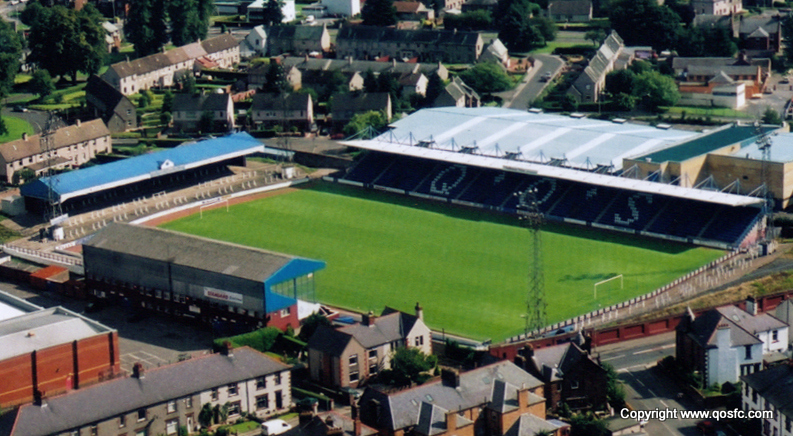 We play our games at Palmerston Park, in Dumfries. In season 2015/16 our league games will be in the Ladbrokes Championship which is the second tier of Scottish football. Our home colours are blue and white. Occasionally, games are moved for live TV coverage. Any changes will be announced on the website and through our social media channels and the Fixtures Page will always be kept up to date. For the majority of our games, tickets are only on sale on the day of the game. However, there will be games where you will require to buy a ticket in advance. Again, these details will be announced on the website and social media. 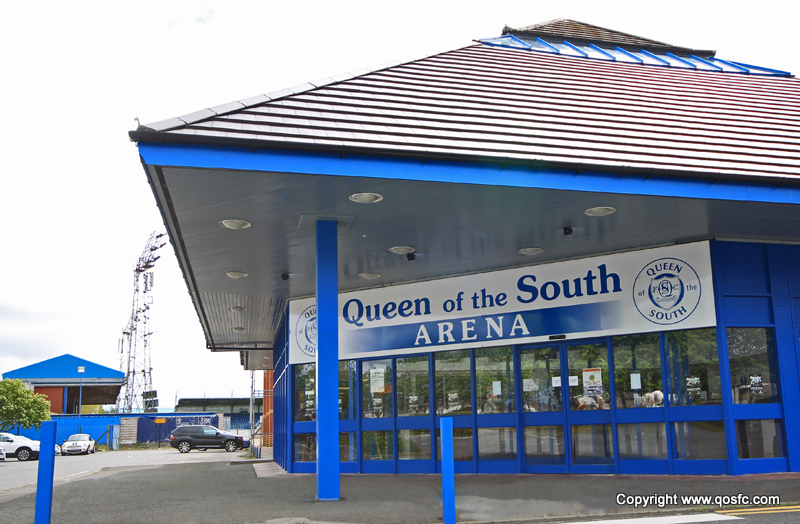 If you follow the "By Car" directions on the Find Us Page they will take you to the car park, which is situated outside the Queen of the South Arena. There is usually plenty of parking but for bigger games you might want to make sure to arrive early. There are 3 areas of the ground available for home fans to watch the game and there are no price differences between them. If you want to stand then the Oakbank Services Terracing is the place for you. 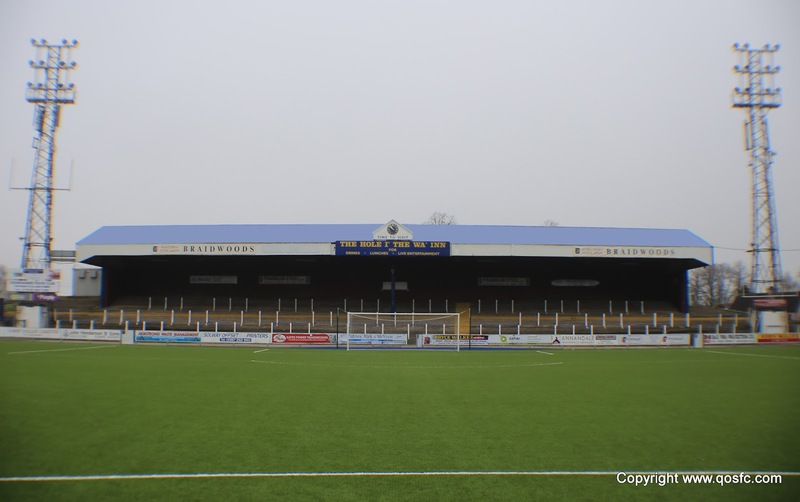 The main part of the terracing is behind one goal but it does extend round to the side of the pitch too. The BDS Digital Stand is situated on the opposite side of the ground from the Arena. 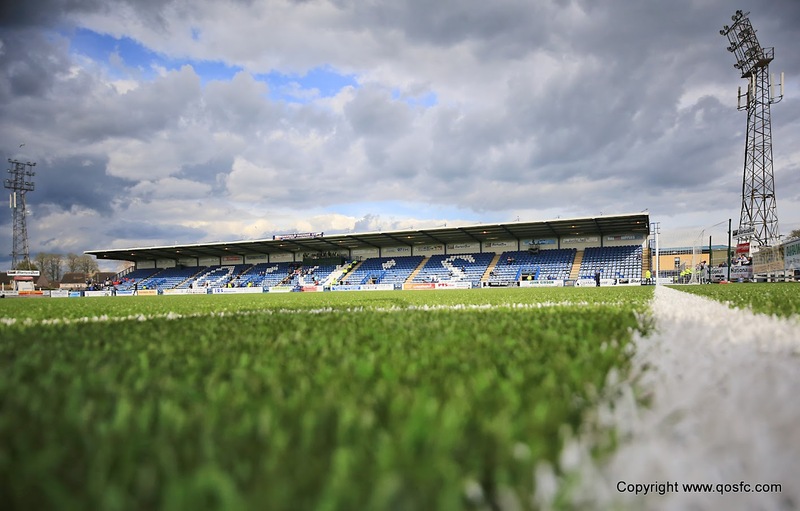 A newer design of stand, it sits at pitch level and offers a great view if you want to get close to the action. This stand is "family friendly" and, with fewer stairs to climb, is a good choice for anyone with mobility issues. The Gates Power Transmission Stand is an older stand but, elevated from pitch level, offers the best views of the game. Be aware, though, there are 3, fairly small, flights of stairs to get into this stand. Once you've decided where you want to watch the game from, you will need to buy tickets from one of the ticket offices. For home fans, the easiest one is situated in the Arena, just beside the café service area. You can buy tickets for any of the home areas of the ground at this office. 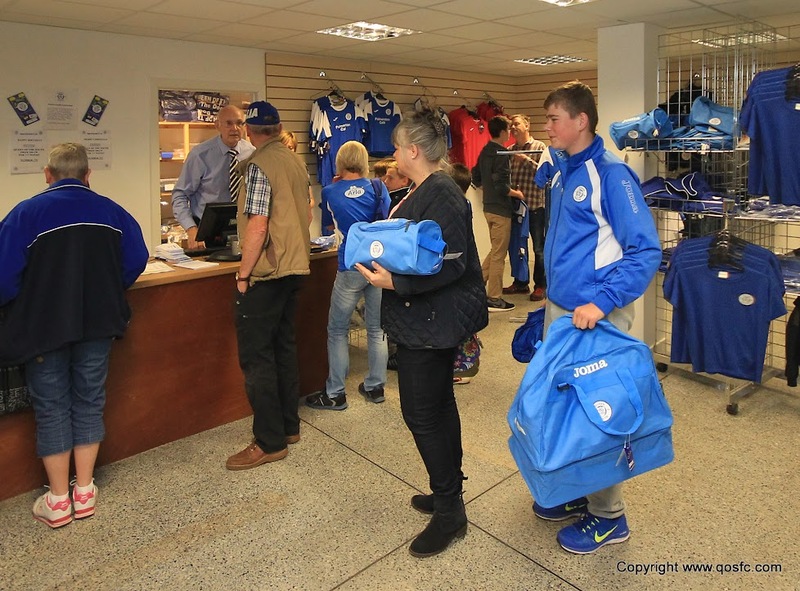 The club shop is also situated in the Arena, just round the corner from the ticket office. It stocks a wide range of official club merchandise. The perfect place for a souvenir of your visit or to get decked out in the club colours ready for the game! Match programmes are available in the club shop or from sellers around the ground and cost just £2.50. When you get your programme you might want to pick up a team sheet too. This will tell you exactly whos playing, for both sides. For just £1 a ticket, you can enter our 50/50 half time draw. Listen out for the winning number which will be read out over the public address system at half time. The winner collects half of the proceeds, which is often several hundred pounds! Why not enjoy a coffee in the arena café? The café has a wide selection of drinks, snacks and hot and cold food. If you walk around the corner towards the shop and toilets you can also enjoy our brand new murals on the walls. 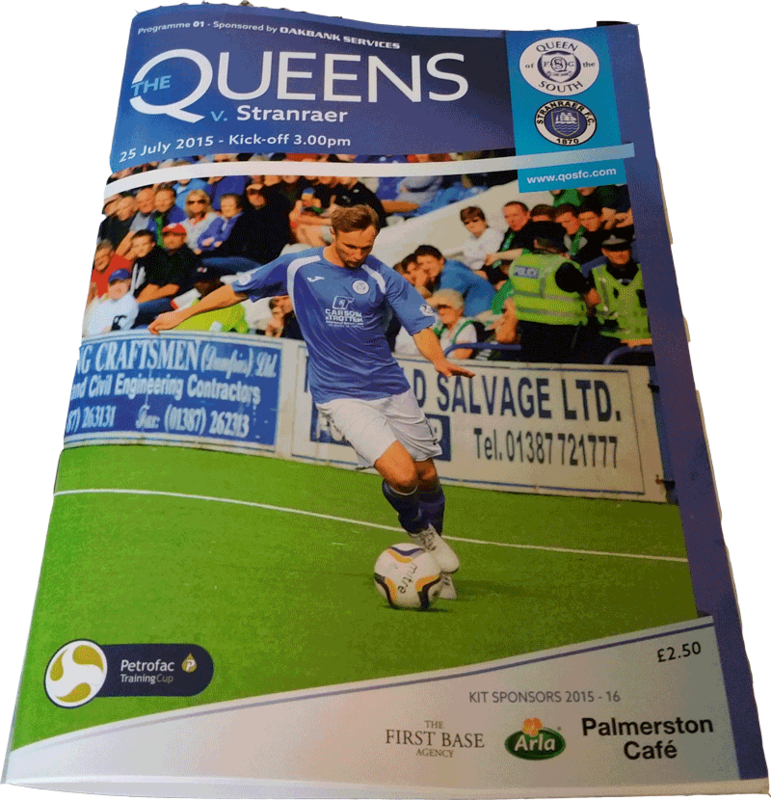 For those looking for alternative refreshment, the Palmerston Lounge Bar is situated at the back of the Gates Power Transmission Stand and is open to all before and after kick off. 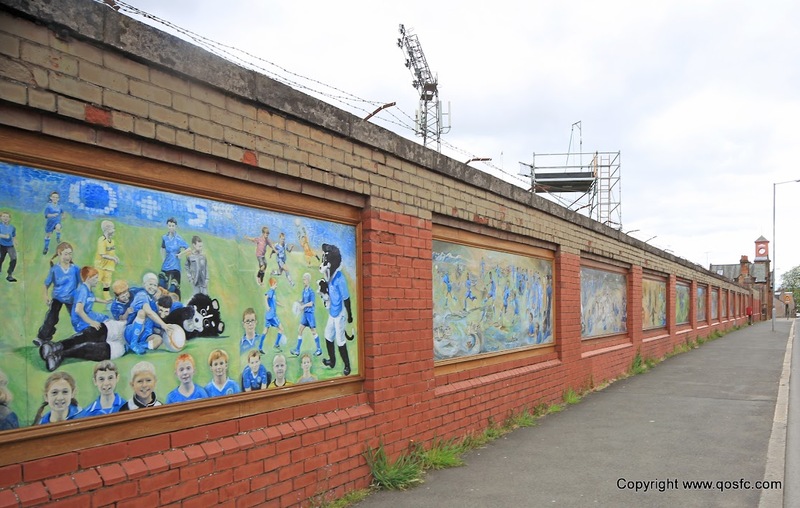 On the outside wall of the ground on Terregles Street, there are a number of murals depicting key events and people from the clubs history. Painted by local artist, Jo McSkimming, these unique works of art are well worth a visit. The BDS Digital Stand is situated on the opposite side of the ground from the Arena. A newer design of stand, it sits at pitch level and offers a great view if you want to get close to the action. This stand is "family friendly" and, with fewer stairs to climb, is a good choice for anyone with mobility challenges. The turnstyles at the ground usually open around 45 minutes before kick off. For most games, there are no set turnstyles to enter from, just make sure you go to the right part of the ground. For all-ticket games, the details of where to enter the ground will be on your ticket. Unless the game is all-ticket (in which case your seat number will be on your ticket) you can stand, or sit anywhere you like in the ground. The only exception is in the two stands, where you need to watch out for seats with a "Reserved" sticker on them. These are reserved for season ticket holders. If the match is all-ticket and you need help, any of the stewards will be happy to direct you to your seat. All areas of the ground have catering facilities, where you can buy hot and cold drinks and a selection of food and snacks. On the Oakbank Services terracing, the "pie shop" is right up the back of the terrace. In the Gates Power Transmission Stand it is down the stairs between Sections 3 and 4 and to the right. In the BDS Digital stand, it is underneath the stand, near the entrance/exits. Feel free to pick something up and enjoy it at your seat. 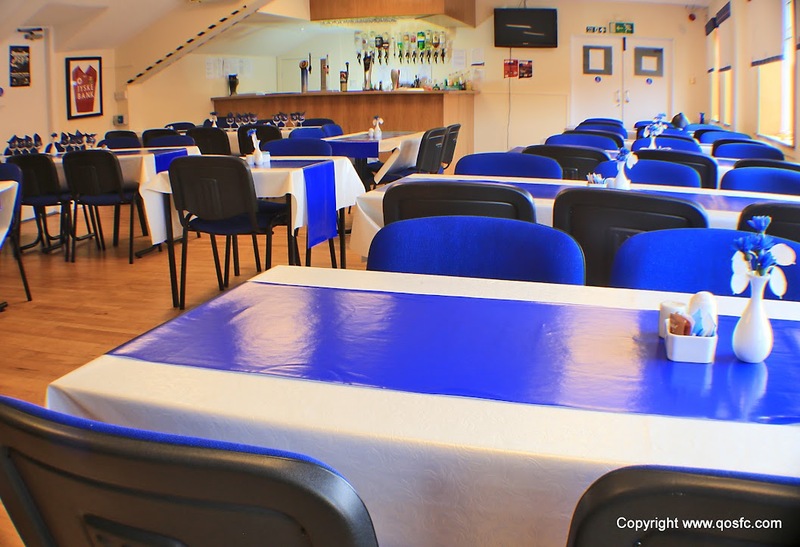 The catering facilities are available before and during the game, closing shortly after half time. All areas of the ground have male and female toilets. On the Oakbank Services terracing, they are next to the exit gate on the left side (closest to the Arena). In the Gates Power Transmission stand they are down the stairs between SEctions 3 and 4 and to the right (beside the catering) and in the BDS Digital Stand they are underneath the stand, near the entrances/exits and the catering facilities. Before the game you may come across Dougie, our mascot. He regularly walks round the pitch before the game and might even come into the stand to say hello to kids. Don’t be afraid to shout him over, give him a high five or even get your picture taken with him! Now all that’s left is to sit back and enjoy the match - although feel free to jump up and get excited when we score! Shouting your support is great but do bear in mind that the club has an acceptable conduct policy and anyone engaging in offensive, or unacceptable, behaviour, eg using racist or sectarian language or letting off flares, bangers etc, will be removed from the ground. If you see, or hear, anything you think is unacceptable, please inform the nearest steward or police officer. If you picked up a team sheet you should easily be able to see who is who and all the players are allocated a squad number at the start of the season which doesn’t change. Full player profiles are on the websites Players Profile Page and the programme also has a squad list with numbers. The players also have their name on the back of their shirts to make it even easier! Hopefully, you enjoyed the game and the result! We'd love to see you back again for another match. 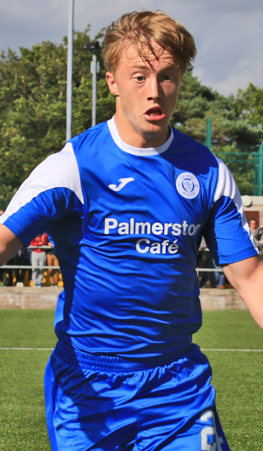 Visit the official website again after the match to read match reports, hear interviews from players and manager, see fantastic action shots of the match and watch highlights on our very own QosTV. We'd love to have you! The club is on Facebook and Twitter. Join our page or follow us to keep up to date with all the news from the club. If you're now going to be with us every week, a season ticket is a great idea. Not only do they offer a discount on paying on the day but, for the two stands, you'll be able to select a seat and theres no need to visit the ticket office on match days. For younger fans the Junior Blues ticket is great value at just £18 - that’s £1 per game! 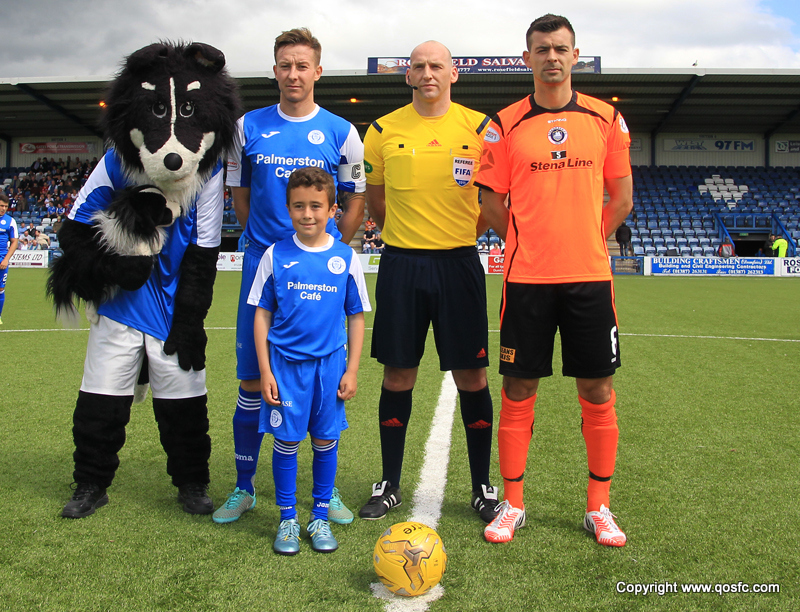 Your kids match day can be really special as one of the team mascots. 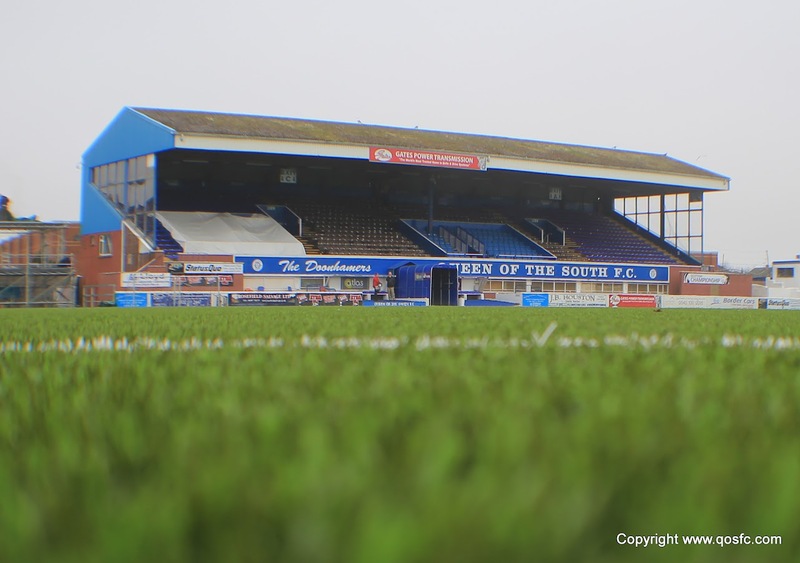 Before the game, they'll get a full Queen of The South strip, so they look the part when they lead the team out of the tunnel and onto the pitch. Not only that, but they get to meet Dougie and have their picture taken with members of the first team squad! Then its off to their seat to watch the game with a complimentary programme (which might just feature someone they know!) and certificate to commemorate the day. All of this for just £70, which includes tickets for two accompanying adults. 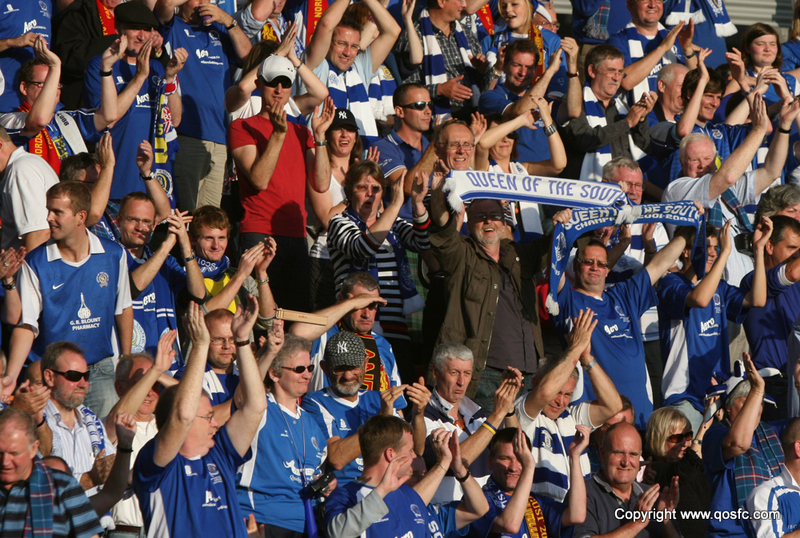 If you enjoyed supporting Queens, why not spread the word and bring some friends and family along next time?